In this week's Weekend Reads, we take a look at the music videos fighting each other to claim the top YouTube spot. 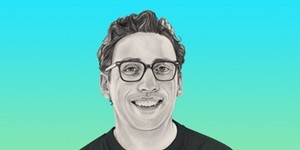 Plus, what can we learn about how we spend our money from the CEO of Warby Parker? And finally, the future of self-driving cars is hitting a speed bump in the form of...kangaroos. The original purpose of this Weekend Reads entry, because they’re obviously planned far in advance, was to report that Gangnam Style had finally lost its place at the top of the YouTube charts, killed Game of Thrones-style by Furious 7 theme "See You Again." But lo and behold, that might not last for long. Puerto Rican single "Despacito," from Luis Fonsi, is tracking to become the most-viewed YouTube video ever, and it was released less than a year ago. It says a lot about the changing ways we consume digital entertainment, the benefits of a widely appealing song that crosses cultural boundaries, and how we’ve finally gotten over "Gangnam Style." The Warby Parker CEO Thinks You Should Give Your Money Away. Now. Warby Parker is a pretty cool company. They’re cheap, they’re stylish — oh, and they donate eyeglasses to people in need. Turns out this stems from CEO Neil Blumenthal’s personal ethos that he was taught when he was younger: Don’t wait to start helping people. A lot of rich tech folks have plans and foundations to give away their wealth, but it usually starts after their death. Blumenthal argues that tough problems should be tackled now, and he’s putting his money where his mouth is. Plus, he argues that it’s good business, because "working in organizations that are more mission-driven…motivates me to do my best job every day." Self-driving cars are the future. At least, Uber and Google better hope they are, or they’re going through a huge lawsuit for no reason. But we still have a ways to go before we’re all cruising along while legally texting. One place that might take a little longer? Australia. 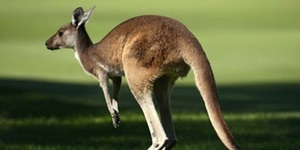 Volvo has been testing their cars down under recently, and while the "Large Animal Detection System" works well on things like deer and caribou, kangaroos are proving to be challenging. The system uses the ground as a point of reference for how far away an animal is, so when the ‘roos jump, it’s throwing things out of whack. Hopefully they can crack this nut, but it serves as a good reminder that, as always, everything in Australia is trying to kill you.